Roger Pinsonneault, R.Ph. is the Vice President, Product Innovation for Gemini Health. Roger is an energetic, results-driven product innovation development professional. He has a demonstrated ability of conceptualizing and delivering new products and services that improve the delivery of pharmaceutical care. Roger joined Gemini Health in October, 2015. In his Product Innovation role, Roger leads a highly collaborative, cross-functional team to deliver best-in class user experience products for prescribers. He applies user-centered design methodologies to conceptualize new, and enhance existing, Gemini Health’s cost transparency solutions. 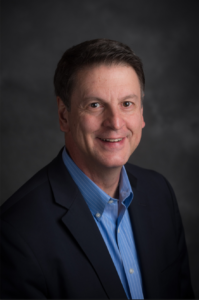 Prior to joining Gemini Health, Roger was the Vice President, Business Development at RelayHealth-Pharmacy, a business unit of McKesson Corporation, where he was responsible for pharmacy network innovation. At McKesson Corporation he was awarded the 2009 McKesson Chairman’s Award for Innovation & Collaboration, recognized as a 2010 Distinguished Technologist, and recognized in 2013 as a McKesson Fellow. Previous to RelayHealth he was with Total Pharmacy Solutions as an Industry Consultant; Label Systems International – Vice President Business Development; NDCHealth – Vice President, Product Management and Director, Pharmacy Operations; and Eckerd Corporation – Director, Pharmacy Systems & Administration. He received his B.S. in Pharmacy from the University of Connecticut. He is a patent or co-patent inventor for 16 awarded patents from the U.S. Patent & Trade Office. He has been a member of the National Council for Prescription Drug Programs (NCPDP) since 1994 and is a current Co-Chair of Work Group 1 (Telecommunication) and co-leads the Real-Time Prescription Benefit Inquiry Task Group. He is the recipient of the 2002 NCPDP Time Award and 2007 NCPDP Benjamin D Ward Distinguished Member award.